A Grand Concert – For a Concert Grand held at Barrhaven United Church on Saturday April 21 was a runaway success. 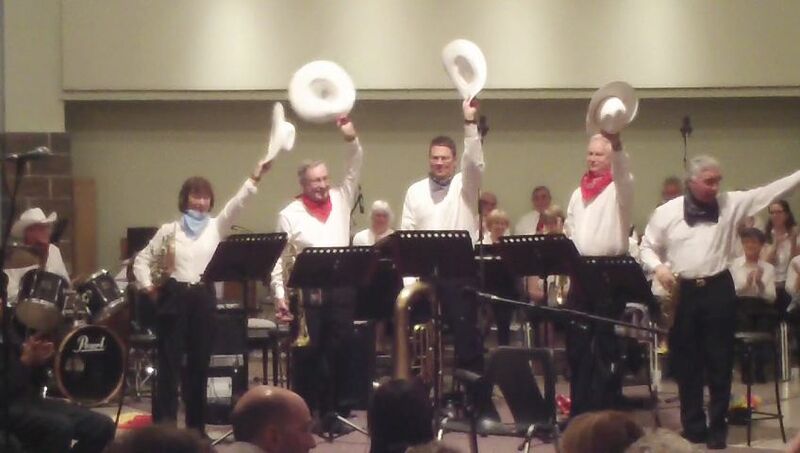 The audience was treated to a wide range of music from Chopin to a wild west hoe-down! This special event to raise money for the purchase of a grand piano for the church was a sell out with well over 300 people packing the church. 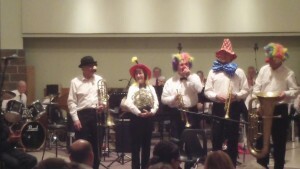 Manotick Brass presented three sets of tunes with their usual flair donning costumes to suit the music. Two new arrangements received their first public performance by the brass – “The Wild, Wild West” a medley of traditional cowboy tunes arranged by Ottawa musician E. F. Lloyd Hiscock. The other arrangement was “A Walk By the Sea” a medley of seaside and sea songs arranged by English arranger Nigel G. Simmons. A highlight of the evening was a xylophone solo by Kirsten Baker accompanied by Manotick Brass. Dotty Dimples was originally composed for xylophone solo with accompaniment by 4 marimbas but Manotick Brass has arranged their own version to feature the xylophone with brass. Star of the evening was undoubtedly Armas Maiste who brought out all the great qualities of the Yahama grand piano kindly provided by Ottawa Pianos for the evening concert. Armas was for many years the principle pianist with the Montreal Symphony Orchestra and has performed with the NACO in Ottawa. Following a beautiful rendition of Chopin`s Fantasie Impromptu, Armas brought the house down with a selection of Blues and Jazz. Other performers included the Barrhaven United Church Choir under the direction of Barbara Ackinson, Miriam Fitzgerald Celtic harp, Shirl Kennedy, Don McIntyre, Marlene Basarab, and The Illustrious Church Orchestra. The evening was a grand success for a grand cause!